امروزه شبکه­های اجتماعی در زندگی کاربران حضوری پُررنگ دارند، اما بهره­مندی کاربران از مزایای آن‌ها، مانند اغلب تعاملات میان‌‌فردی در زندگی واقعی مستلزم حل تناقض میان خودافشاگری و حفظ حریم خصوصی کاربر است. این بهره‌مندی با فرایندهای بهینه‌سازی حریم خصوصی و با تأکید بر توانایی­های کاربر در سطح فردی محقق می­شود. هدف اصلی این نوشتار ایجاد درکی از چگونگی به‌کارگیری راهبردهای مبتنی بر سواد حریم خصوصی آنلاین برای دستیابی کاربران دختر اینستاگرام به سطح بهینه حریم خصوصی است. به این منظور ابتدا تناقض حریم ­خصوصی، مزایا و خطرهای خودافشاگری بررسی شده و سپس بر اساس سواد حریم خصوصی آنلاین، برخی از راهبرد­های اجتماعی و فنّاورانه­ برای حل «تناقض حریم خصوصی» معرفی شده‌اند. 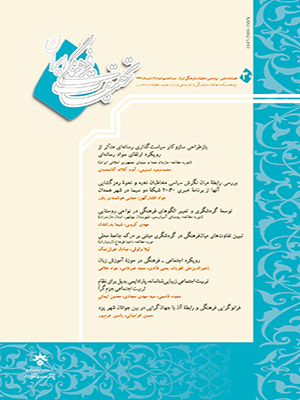 در بخش یافته­ها پس از توصیف مهم‌ترین مزایا و خطرهای خودافشاگری برای کاربران دختر، الگوهای فعلی چگونگی به‌کارگیری راهبردهای اجتماعی و فنّاورانه برای حل این تضاد استخراج و دربارۀ آن‌ها بحث شده است. این بررسی به روش مردم­نگاری و با مصاحبۀ نیمه‌ساخت‌یافته و مشاهدۀ غیرمشارکتی صفحات 20 کاربر دختر اینستاگرام صورت گرفته است. Bawden, D. (2008). Origins and concepts of digital literacy. In C. Lankshear, & M. Knobel, Digital Literacies:Concepts, Policies and Practices (pp. 17-32), New York: Peter Lang. Berg, J. H., & Derlega, V. J. (1987). Themes in the study of self-disclosure. In V. J. Derlega, & J. H. Berg, Self-Disclosure: Theory, Research, and Therapy (pp. 1-8), New York: Plenum Press. Derlega, V. J., Winstead, B. A., & Greene, K. (2008). Self-disclosure and starting a close relationship. In S. Sprecher, A. Wenzel, & J. Harvey, (Eds.). Handbook of Relationship Initiation (pp. 153–174), New York: Psychology Press. Ellison, N. B., Vitak, J., Steinfield, C., Gray, R., & Lampe, C. (2011). Negotiating privacy concerns and social capital needs in a social media environment. In S. Trepte, & L. Reinecke, Privacy Online: Perspectives on Privacy and Self-Disclosure in the Social Web (pp. 19-32), Berlin: Springer. Gattiker, U. E., Perlusz, S., Bohmann, K., & Sørensen, C. M. (2001). The virtual community: Building on social structure, relations and trust to achieve value. In L. Chidambaram, & I. Zigurs, Our Virtual World: The Transformation of Work, Play and Life via Technology (pp. 165-187), Hershey; USA & London; Uk: Idea Group Publishing. Hill, C. T., & Stull, D. E. (1987). Gender and self-disclosure: Strategies for exploring the issues. In V. J. Derlega, & J. H. Berg, Self-Disclosure: Theory, Research, and Therapy (pp. 81-100), New York: Plenum Press. Taddicken, M. (2012). Privacy, surveillance, and self-disclosure in the social web. In C. Fuchs, K. Boersma, A. Albrechtslund, & M. Sandoval, (Eds.). Internet and Surveillance: The Challenges of Web 2.0 and Social Media (pp. 255-272), New York: Routledge Publication. Thelwall, M. (2011). Privacy and gender in the social web. In S. Trepte, & L. Reinecke, Privacy Online: Perspectives on Privacy and Self-Disclosure in the Social Web (pp. 251-265), Berlin: Springer. Trepte, S., Teutsch, D., Masur, P. K., Eicher, C., Fischer, M., Hennhöfer, A., & Lind, F. (2014). Do people know about privacy and data protection strategies? Towards the “Online Privacy Literacy Scale” (OPLIS). In S. Gutwirth, R. Leenes, & P. D. Hert, Reforming European Data Protection Law (pp. 333-365), Netherlands: Springer. Yao, M. Z. (2011). Self-protection of online privacy: A behavioral approach. In S. Trepte, & L. Reinecke, Privacy Online: Perspectives on Privacy and Self-Disclosure in the Social Web (pp. 111-125), Berlin: Springer.